I always hear people talking about Utah and it’s Big 5 National Parks. I personally have been to all 5 of Utah’s National Parks and love each one of them but I am more surprised that we don’t talk more about California and how it is blessed with nine spectacular National Parks! Kings Canyon is no exception as it shares the Sierra Nevada Mountain Range with two other National Parks; Sequoia and Yosemite. This region makes for an ideal place to see some of the best scenery in the Western United States! There’s Massive mountains, trees so large you just have to see to believe and some of the most impressive waterfalls anywhere. Here is my list of things to do at Kings Canyon National Park. 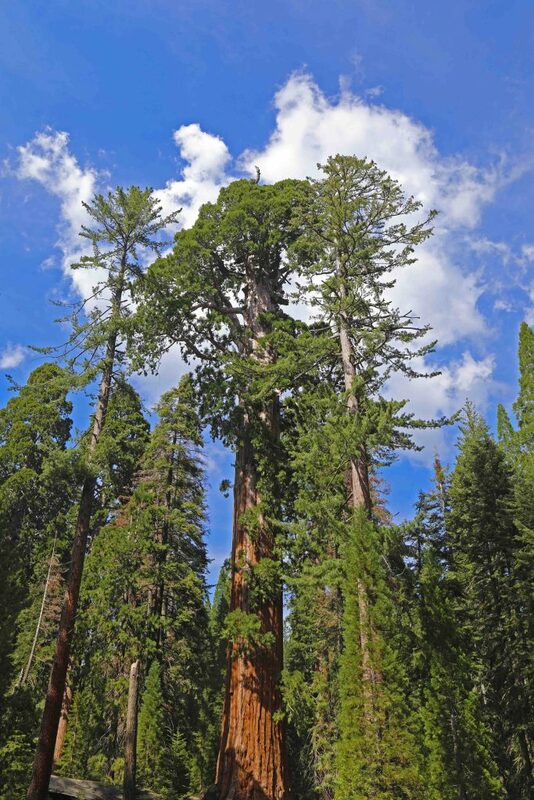 Like Sequoia National Park, Kings Canyon is known for its massive Sequoia Tree Groves! 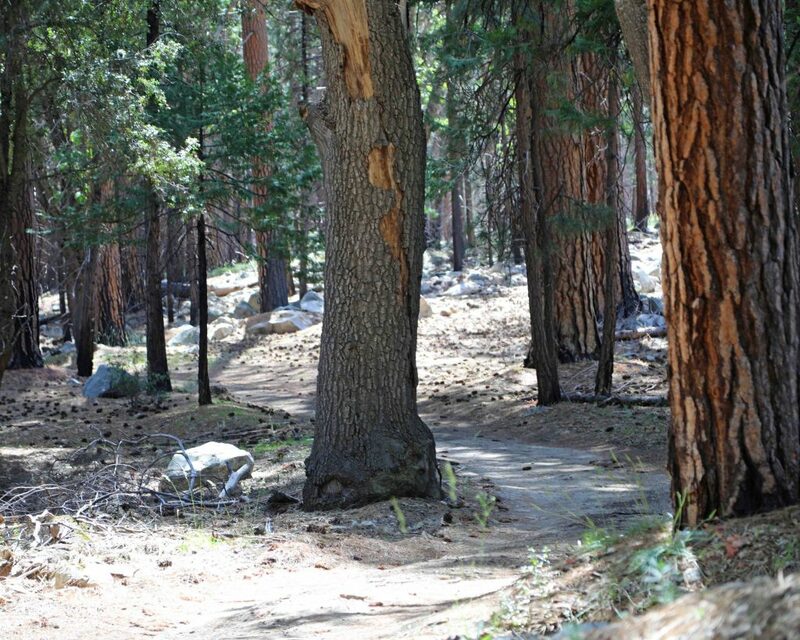 A trip to Kings Canyon would not be complete without taking the General Grant Tree Trail. This 1/3-mile paved loop trail starts off with several massive Sequoia Trees at the parking lot. You will pass the Centennial Stump, a 24-foot diameter Sequoia Tree that was cut in 1875 and had a 16-foot section sent to the Philadelphia Centennial Exhibition of 1876 with only the outer shell being exhibited. Eastern people refused to believe this was from a single tree and called it the “California Hoax”. The highlight of this trail is the General Grant Tree. The General Grant Tree was named after Ulysses S Grant, Union Army General, and the 18th. President of the United States. Later it was named the Nation’s Christmas Tree by President Calvin Coolidge on April 28, 1926. Why so much fuss? This is the world’s 2nd largest tree and this tree is massive! You may ask yourself how could this hike get any better? Well, let me tell you. You can hike through a hollow Sequoia Tree trunk! I am 6’3” tall and I easily walked through! This hike alone makes it worth a trip to Kings Canyon National Park! The Generals Highway like most roads in the Sierra Nevada Mountain Range is open seasonally depending on snowfall/snowmelt. It is worth the wait as this road lets you travel between Sequoia and Kings Canyon and is filled with wildflowers and occasional black bear sightings. There are also picnic areas so you can take in the sights before continue meandering through meadows and mountain overlooks. 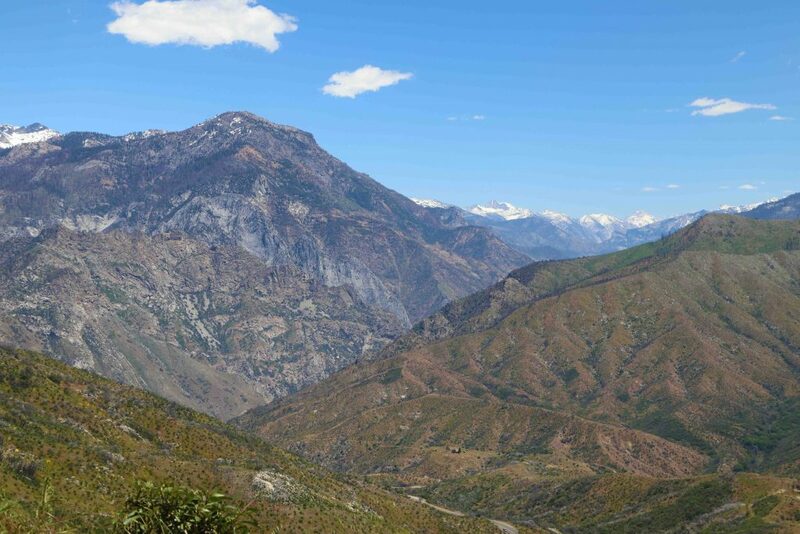 There is also the Kings Canyon Scenic Byway. This scenic drive takes you from Grant’s Grove to Cedar Grove which has a wealth of outdoor activities. Although this drive is beautiful, there are lots of twists and turns and can be rather unpleasant for those who suffer from motion sickness. I was not prepared for the sheer power of the South Fork of the Kings River as you drive out to Cedar Grove! Even more surprising was the number of signs stating that it was not safe to swim in and that the water was dangerous. I mean seriously this water is moving and all my senses were telling me that I wanted nothing to do with being in that water. The bright side is that it made for spectacular scenery as the river rushed by. Have I mentioned the waterfalls? The first truly impressive waterfall was 2.6 miles before entering the Cedar Grove Area at the Grizzly Falls Picnic Area. You can practically stand underneath this 80′ waterfall where you can feel the mist on your skin. 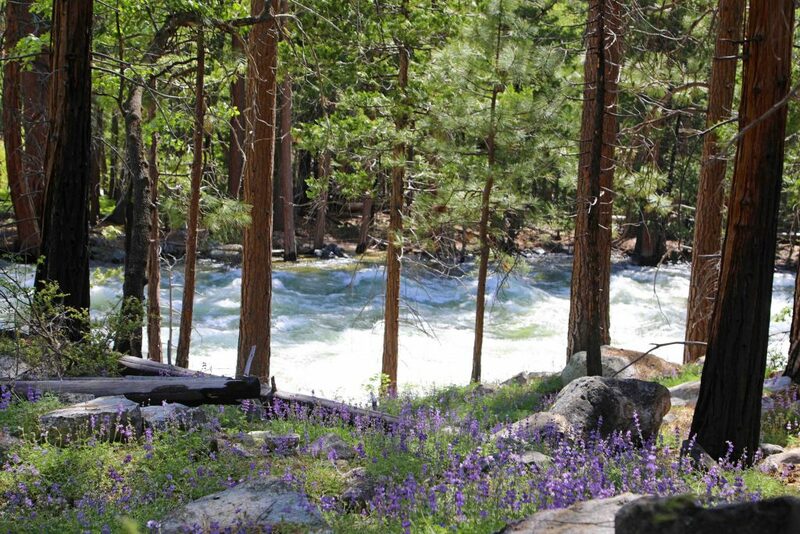 Springtime can be much more than a slight mist, especially where there is a good snowmelt year. Roaring River Falls (Video Above) is equally impressive though not nearly as tall. This waterfall rips through a granite chute leaving everyone starring in amazement. Both waterfalls are extremely easy to get to with no more than a 3/10 mile walk. It would be a shame to miss these! I want you to close your eyes for a minute and dream of a beautiful destination. You can feel the warmth on your skin, breathing fresh mountain air as you walk along a river, witness tall granite walls and beautiful lush meadows. Just enjoy this for a minute and think of how much you would like to be somewhere like this. Well, the answer is simple, just go to the end of the road in Cedar Grove at Kings Canyon National Park and take the Zumwalt Meadow hike. This will instantly become one of those memories that will stick with you and why you love the National Park System so much! I am always in search of the road less traveled. Maybe it’s the feeling of discovery or perhaps just the opportunity to enjoy something that only a few others have ventured to see and enjoy. We happened to find ourselves in Sequoia and Kings Canyon National Parks on Memorial Day Weekend 2017 and thought to ourselves good luck with this one. Now give a park ranger a few minutes, a Jeep Wrangler and the quest to find something out of the way and they will trust me! HAHA! Even if it is a short little side road like the one in Cedar Grove that went out past the Cedar Grove Visitor Center, past the stables and onto what appears on the map as a gray squiggly line. Instantly we found a road that as you can tell by the photo above is the road less traveled. It was marvelous! We passed by large trees, lush meadows, drove along the river and saw lots of wildlife all from the comfort of our Jeep. We only saw a couple other vehicles along the way and made for the best place ever to stop and have a picnic. We had a part of Kings Canyon all to ourselves! This turned out to be one of my favorite memories from the trip. My favorite quote came to mind as we sat there enjoying ourselves “Two roads diverged in a wood and I, I took the one less traveled by, and that has made all the difference. 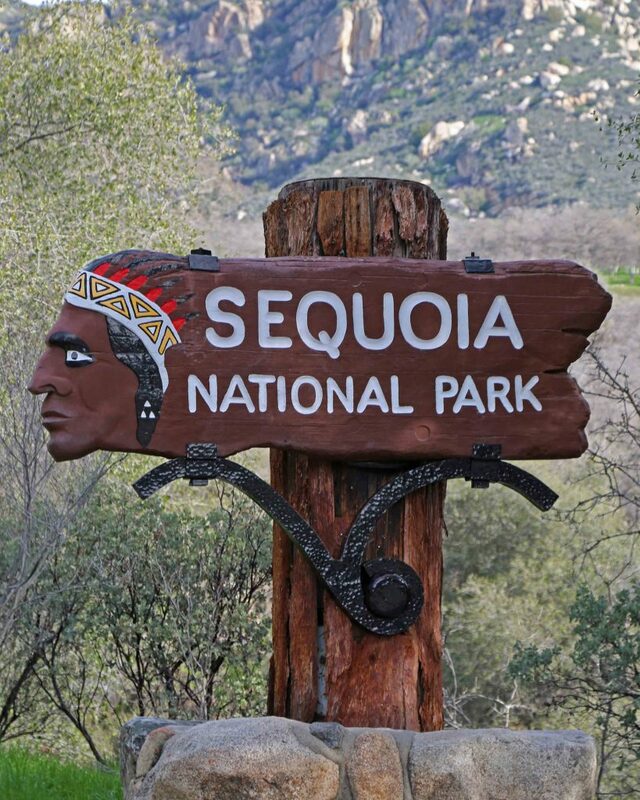 Now if you find yourself having covered everything that you want to see in Kings Canyon National Park and wondering what else there is that you can see and do then keep traveling south to Sequoia National Park! It’s all connected and equally impressive. I have been to this area several times and have been awe-inspired and always left feeling there is so much more to see and explore. I have no doubt that we will be coming back to California and its impressive National Parks for years to come. If possible, plan enough time to check out Yosemite National Park that is just a couple hours north of Kings Canyon, then you will have the opportunity to visit three of America’s most spectacular National Parks! You say there are ‘eight’ spectacular national parks in California. I would agree with that statement if we agree that Pinnacles is not spectacular. If Pinnacles is spectacular there are a total of nine national parks in California. Ben, Thank you for catching my mistake! I personally love California’s National Parks and am always finding an excuse to travel south. We are actually going to be in the Redwoods tomorrow. Pinnacles may not be your favorite but could be someone else’s. It’s really hard to compare when there is such epicness as Yosemite, Joshua Tree, Sequoia & Kings Canyon etc.